So, the ticket hunt is over for another year and the Mayo footballer’s wait for the senior All-Ireland title will last at least another 12 months. I don’t actually know if my team-mates from last Wednesday evening managed to get their hands on those precious pieces of paper. I haven’t seen them since. If they did, at least they got to see the Mayo minor team win that championship for the first time in almost 30 years. And it was a sunny day too, which was nice. 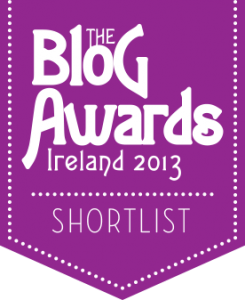 Right, that’s all I’m going to say about it. Now, it’s time for the answers to the questions I posed in last week’s post. Working where I do, it has been near impossible this week to find a conversation that didn’t include the word “tickets” being mentioned. 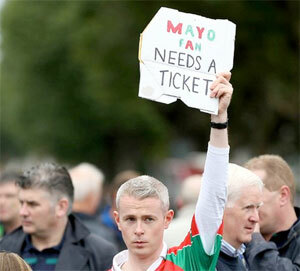 As in “Any sign of a ticket?” or “I have a fella looking out for a ticket for me in Longford.” Yes, it’s an inescapable fact: Mayo will play in this weekend’s All-Ireland Football final and people round here want to go. This explains why, on Wednesday evening: (a) your Roscommon correspondent ended up with two ticket-starved Mayo fans (and a Galway man) at a quiz in Castlebar, and (b) around 120 other people did too. The quiz was organised by Cairde Mhaigh Eo, the Mayo supporters’ club, and the star prize was two tickets to the big game for the winning team. Just two tickets? Yes. As a matter of fact, they had four tickets but the other two were only up-for-grabs via the night’s raffle. 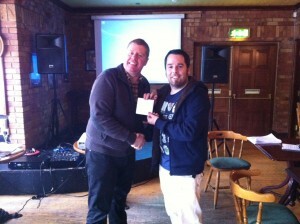 The quiz took place in the Bosh bar in Mayo’s county town and was, on the whole, a very well-run event. Upon paying their entry fee, each team received a clear plastic folder which contained their answer book, their table number and, generously for the forgetful, a pen. In what year was the Berlin Wall finally demolished? Which artist is commonly believed to have designed the uniform of the Swiss Guards? The other question was even worse. Their answer, 1990, gave rise to howls of derision. The quizmistress came back on the microphone and reiterated “We did say finally demolished.” However, three of our four team have been to Berlin and, as recently as this March, seen that some of the wall still stands. So, surely, it has never been “finally” demolished, if you’re going to be pedantic about it!